Never lose another D-Ring again with Daystar's Polyurethane Locking D-Ring Isolators. 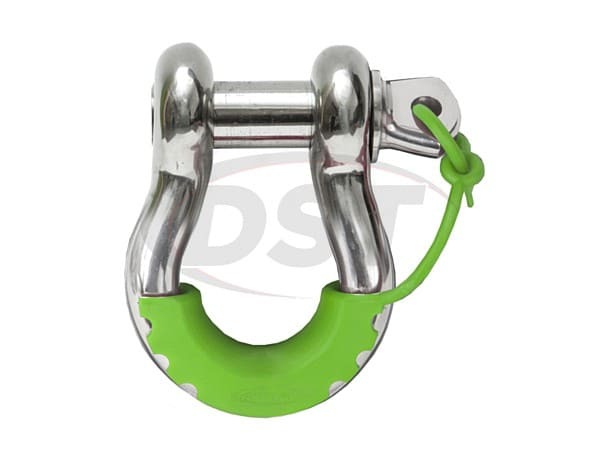 Each kit contains 2 locking D-Ring isolators which fit any standard 3/4" shackles. Not only are these kits made in the USA but they are also made from Daystar's durable polyurethane, to help keep your D-Ring in place and keep your rig from getting unwanted scratches. These kits are available in Black, Red, Blue, Orange, Purple, White, Yellow, Fluorescent Orange, Fluorescent Green, and Fluorescent Pink to help add a pop of unique color to any of your off-roading vehicles. *For D-Ring Isolators with washers please see KU70059. 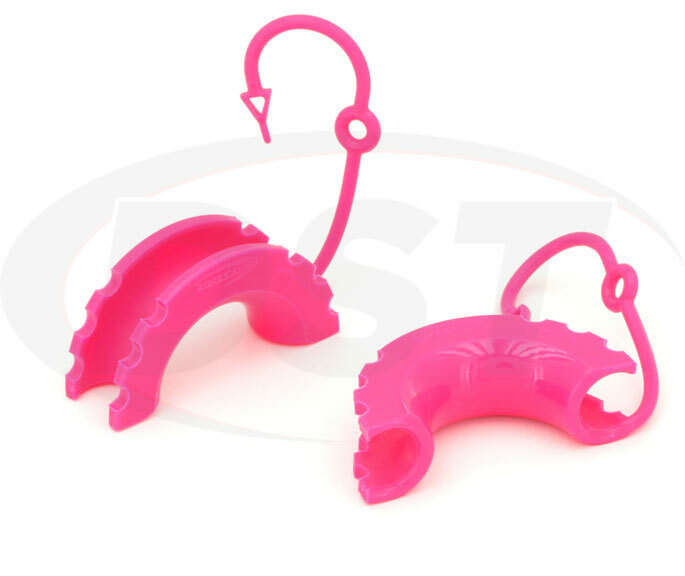 These isolators simply snap on your D-Ring and the attached lanyard just loops through the hole in your D-Ring bolt, this helps prevent the bolt from unscrewing. Polyurethane acts as an isolator to prevent your D-Ring from tapping against your bumper or anywhere else on your rig when traversing rocky trails. Not only will you not have to worry about that annoying tapping noise with Daystar's D-Ring isolators but you can also kiss scratches and small dents due to D-Rings good-bye. Not only are you investing in loss prevention for your D-Rings but your also helping to prevent some annoying blemishes on your vehicle and you're getting to personalize it all in the same click. So kiss the worry of continually losing D-Rings behind you, the only thing you should be worrying about now is which color isolator to pick.